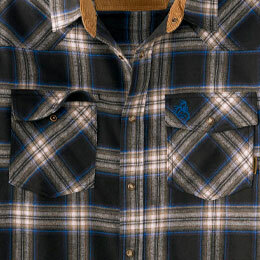 Men's Shotgun Western Flannel is rated 4.7 out of 5 by 162. 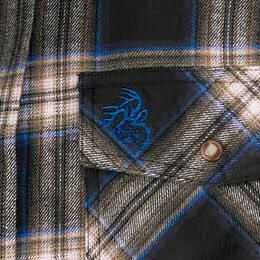 Our flannel is already incredibly comfortable. But by brushing the cotton for an even softer hand, we crank the comfort level up to 10. Three-needle stitching means three times the strength. Go ahead and try to bust these seams! 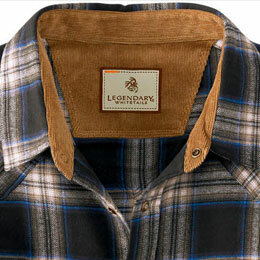 This Legendary® plaid shirt features an exclusive Western flair design. 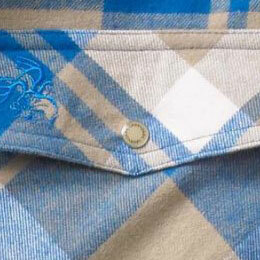 A front-and-back yoke gets things started, and embossed Legendary pearl snaps at the placket, cuffs, and chest pockets finish it off in manly style. Finished with Signature Buck embroidery and triple-needle stitching. 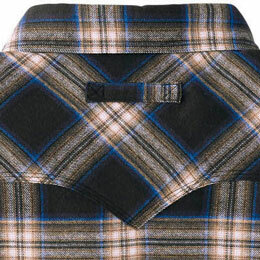 Warm, comfortable, brushed cotton flannel. Rated 4 out of 5 by Huckleberry Finn from Nice Shirt Nice shirt with nice coloring. Bought it to wear into town and wanted something that didn't look like my work shirts. Once again it came in Tall and this is the only size I can purchase being so tall. Some companies say tall but they are not. Legendary has a good fit for my frame. It did shrink a bit when washed but still ok. I am not a baggy wearing size kind of guy so prefer a tighter fit and this is fine. I do have to wear XL in many products just to get the length and this was fine in a large. 6'3" 190lbs. Rated 5 out of 5 by Melzina from shirt order was very satisflied with the order and how quickky that I received it. Are these thicker/heavier than most flannel shirts ? Or are the Buck Camp variety heavier ? 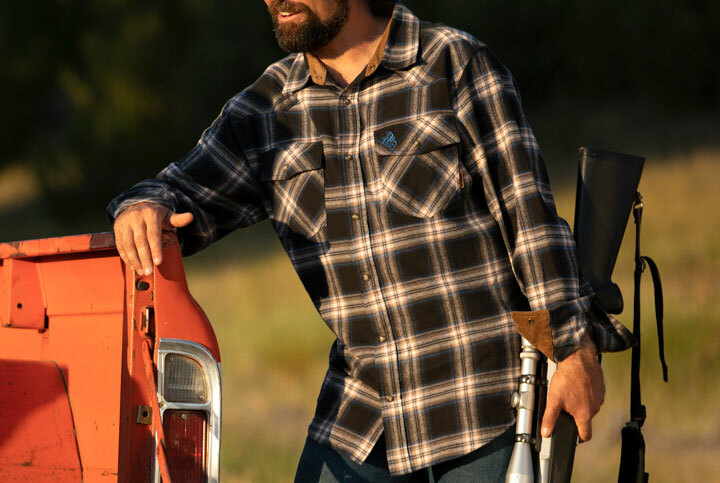 The Shotgun Western Flannel is the same weight as our Buck Camp Flannels at 5.1 oz of 100% brushed flannel cotton. Bought one and it's a little big but not too much. Will it shrink? &nbsp;If so, how much? This flannel should not shrink if the washing instructions are followed: Machine wash cold separately, do not bleach, tumble dry low. However, if you intend to dry this shirt with heat, you may want to size up to accommodate any shrinkage. 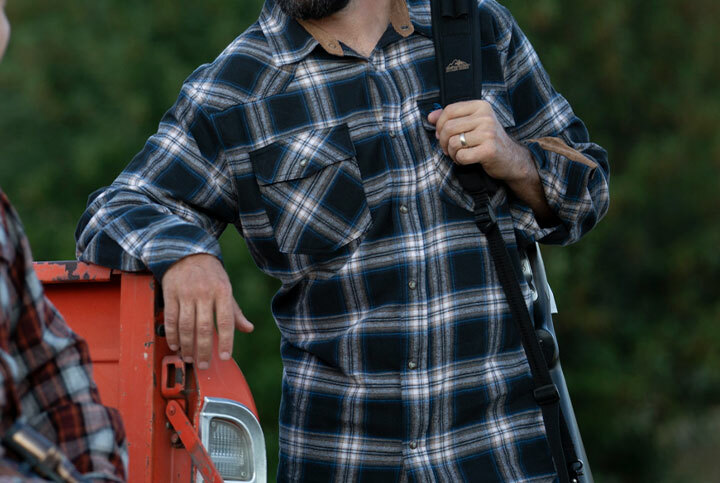 This Shotgun Western Flannel does not have a lining, and I'm sorry to say the Liberty Range Plaid is currently exclusive to this item. Yes, this item is currently available in all three colors in size Large Tall, which is indicated by &quot;LT&quot; in the size selection. Does this shirt have a loose/relaxed fit ? This shirt has a standard fit and runs true-to-size according to our other customers reviews. This shirt is regular fitting, unless you specifically choose a Tall size (indicated by a T on the size). Tall sizes will add 1 1/2&quot; to the sleeve length, and 2&quot; to the body length.